Search web2.0 in London on google maps. What do you get? But you can hack your own. « is your face here? duh! 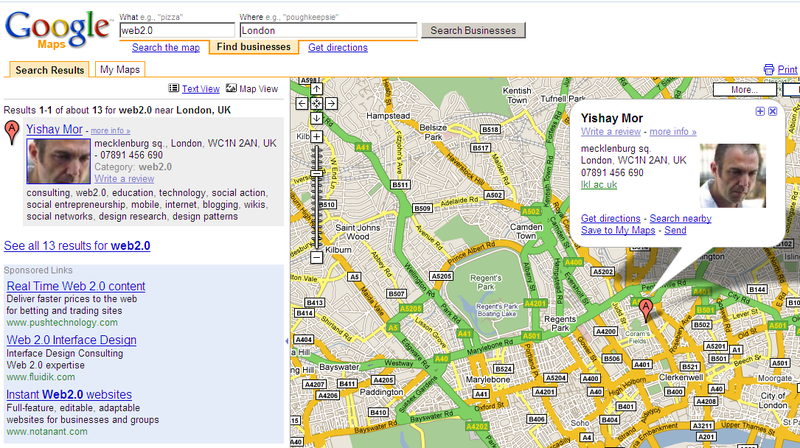 I see me on http://maps.google.com/maps?f=l&q=web2.0&near=London don’t you?